We provided a space for dynamic dialogue which attracted a wider and digital audience. 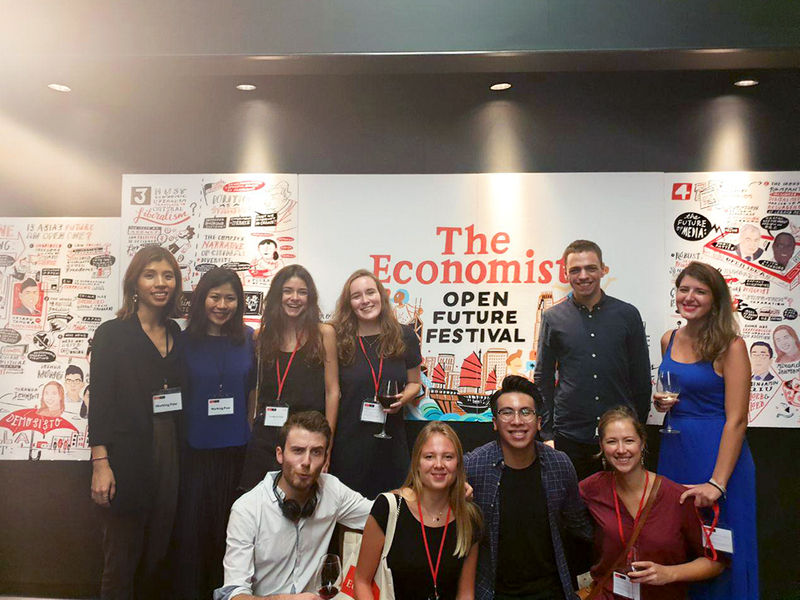 Organised by The Economist, the Open Future Festival 2018 was a 24-hour rolling event held in three main cities - London, Hong Kong, and New York. 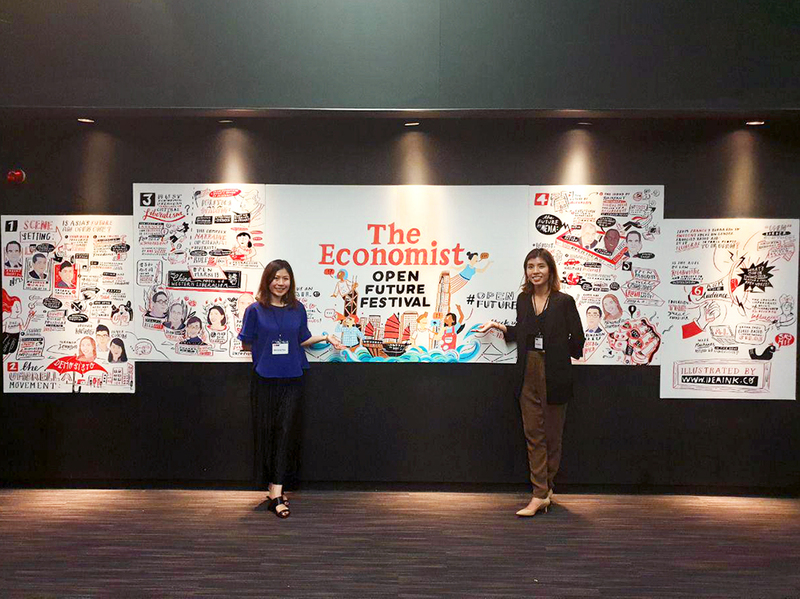 Welcoming political figures, entrepreneurs, innovators, and critics to share ideas and alternative viewpoints, it was a platform for open discussion of the most urgent issues of today. Given this context, we found ourselves looking to extend the dialogue beyond the 24-hour and the 3 physical locations. 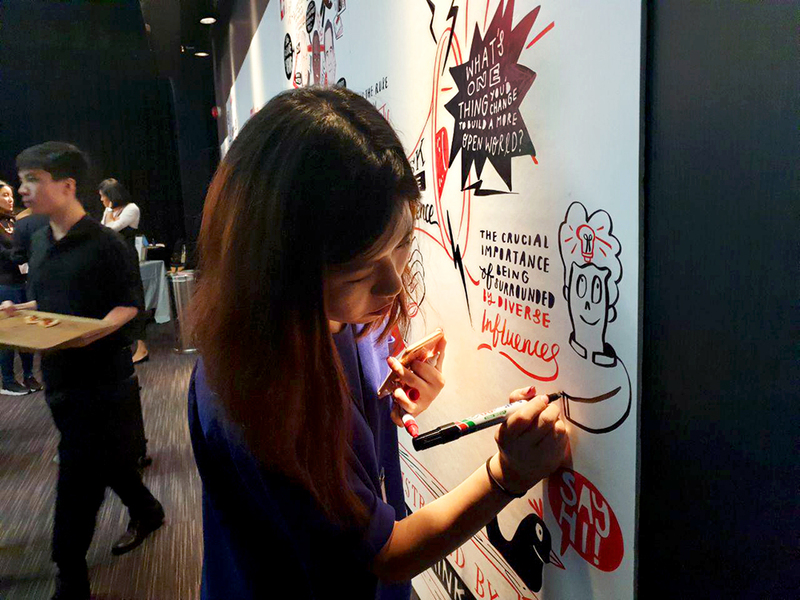 And so, we collaborated with the organisers to graphic record the entire event. To present a unifying look, we adopted a consistent style for all three canvases. 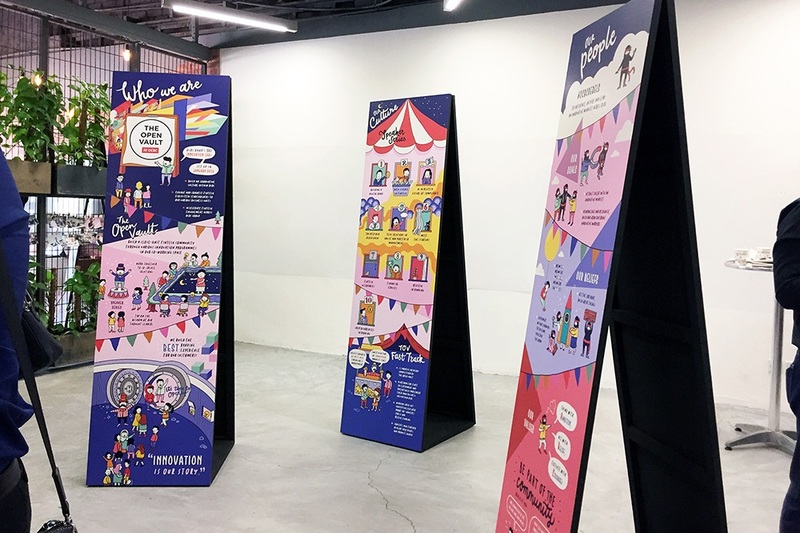 To showcase the reach of the event, each location’s canvas depicted iconic visual motifs - The Big Ben, Queen, guard and red telephone booth for London; the Statue of Liberty, Empire State Building and yellow taxi for New York; and junk boats amidst the city skyline for Hong Kong. 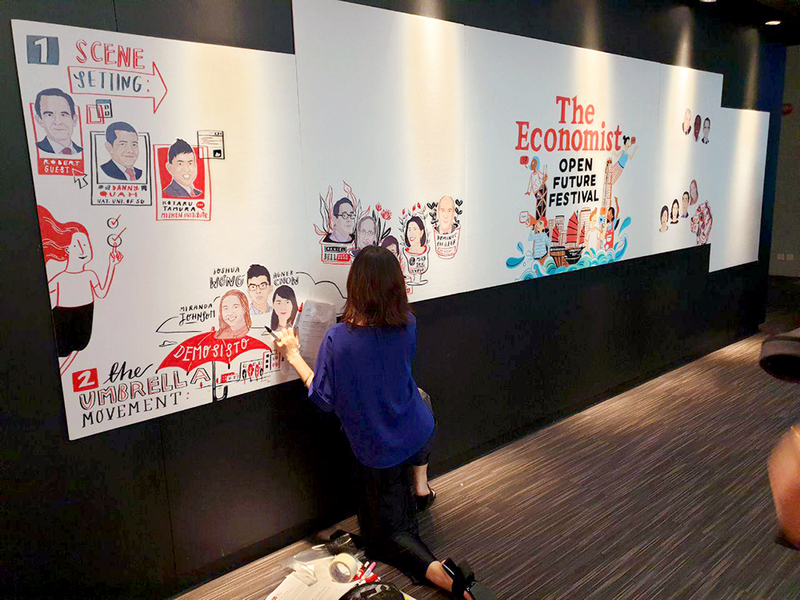 This simple yet thoughtful insertion of graphic recording created a dynamic space for engagement. 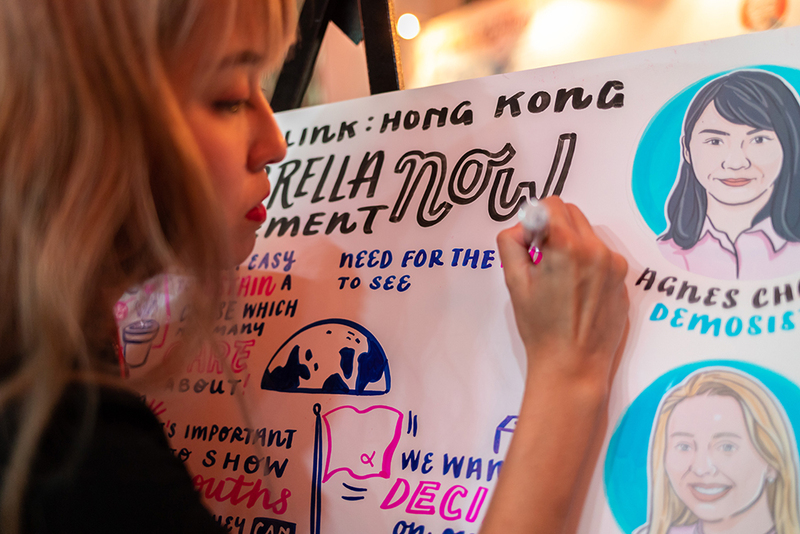 As the festival rolled out in Hong Kong, London and then New York, our graphic recorders inked down the information on their large canvases with smart illustrations and succinct content. 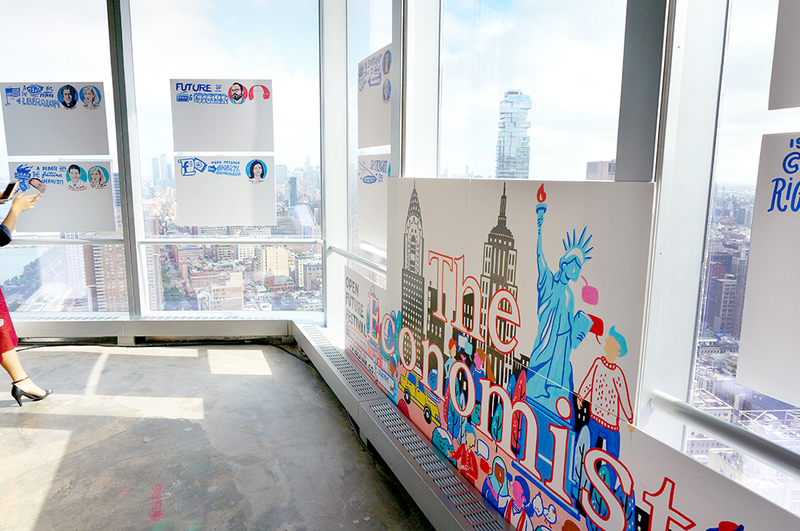 During the breaks, the canvases became locations of engagement for the speakers and audiences. 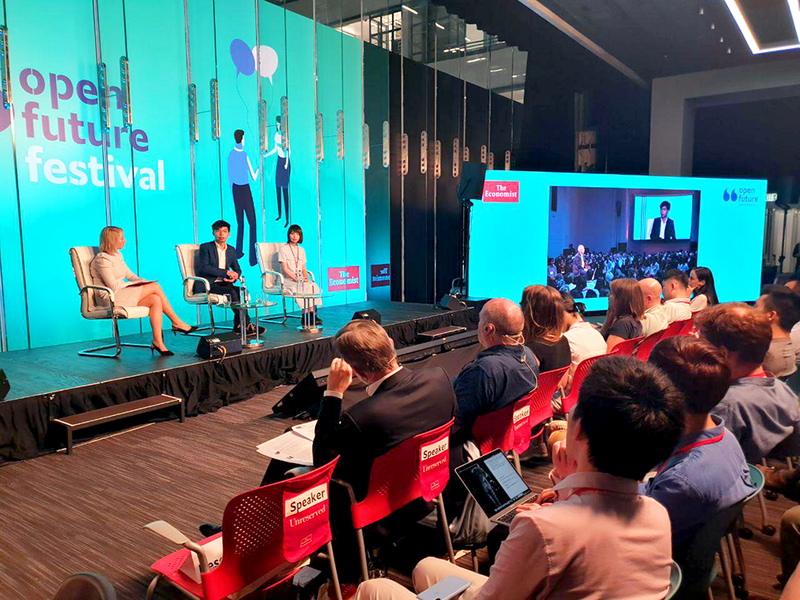 As the viewers captured and shared the content across their social media platforms, like the butterfly effect, new dialogue threads are created and the conversations continued well beyond the festival and into the digital space. 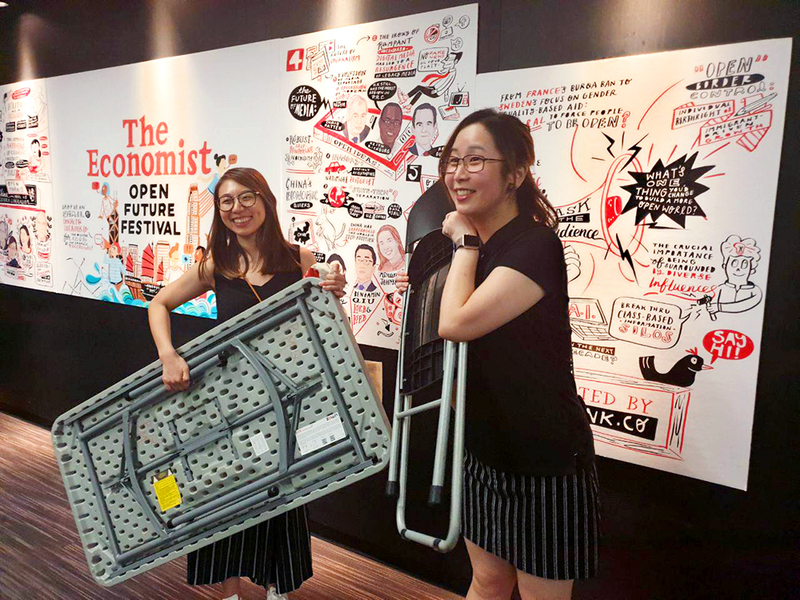 How can an annual global festival continue to deliver impact and significance? 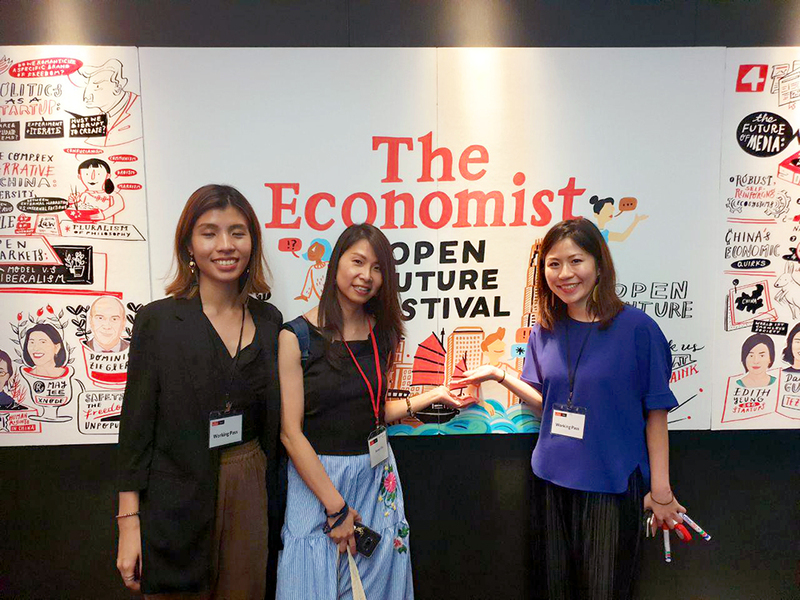 We collaborated with a venue management and consulting company to deliver scale and innovation in the information design space. What is the result of thoughtful visual and information design for an emerging entity? We helped the fintech arm of an established bank to build its brand identity.